Burning field, smouldering ashes and trees. Rozhen, Bulgaria - July 18, 2015: Nestinari are walking on fire during a nestinarstvo show. The fire ritual involves a barefoot dance on smouldering embers performed by nestinari. 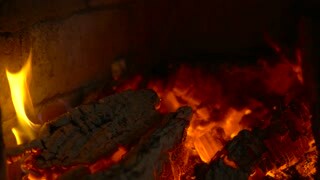 Stoking a Fire, Slow Motion Smouldering Close Up. Tractor plowing through smouldering ashes of burnt field. Slow motion. Burning field with smouldering ashes, slow motion. Medium close shot. Burning field and smouldering black soil. 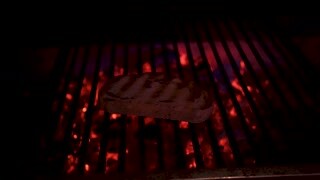 Sound of fire crackling. UK June 2018 - Time lapse of a smouldering and smoking moorland following a wildfire. UK June 2018 - A helicopter passes overhead as soldiers use a hosepipe to douse the charred and smouldering ground following a wildfire. UK June 2018 - An emergency worker walks along a path under a smouldering and smoking section of moorland. UK June 2018 - fire trucks are parked up in a line in front of a smouldering and smoking moorland wildfire. UK June 2018 - A fire truck dives towards a smouldering and smoking section of moorland during a wildfire. UK June 2018 - A firefighter uses a water hose to douse the charred and smouldering ground in a moorland wildfire.